Got long legs and can't seem to use all your power with standard 180mm (or shorter) crank arms? 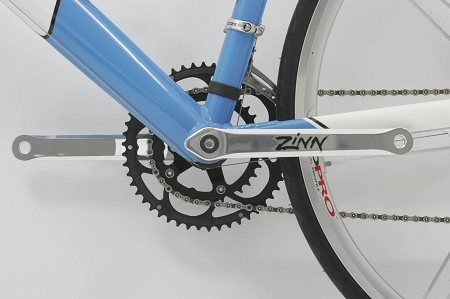 Order a set of Zinn custom extra long cranks and get that extra power you're looking for. It only makes sense that your cranks should be proportional to your legs, not a length designed for somebody a lot shorter than you! Our extra-long cranks are available with a maximum length of 220mm and are specifically beefed up for bigger riders. You won't believe the difference they make!